A breeding population of African Five-Lined or Rainbow Skinks, Trachylepis (formerly Mabuya) quinquetaeniata, has been discovered in Port St. Lucia, Florida, bringing the total number of exotic herps known to be established in the USA to 66. 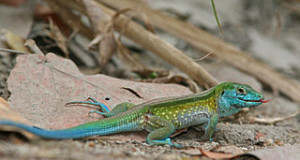 The Giant or Green Ameiva, or Jungle-Runner (Ameiva ameiva), known to the state since 1954, seems to be expanding its range. 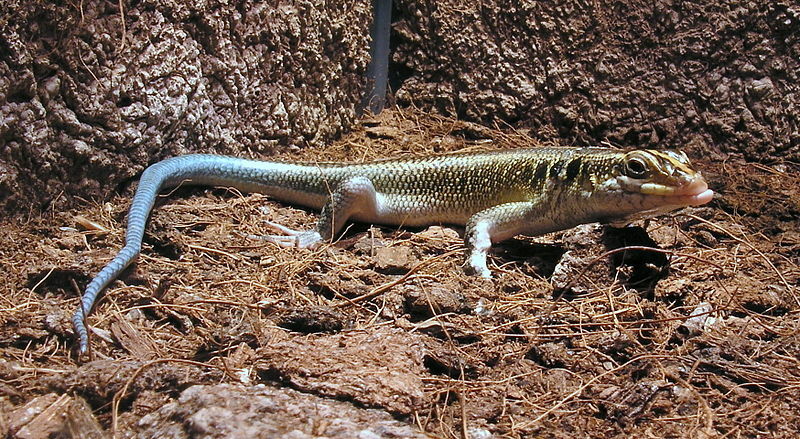 Rainbow Skinks, which are native to a broad belt of Sub-Saharan Africa stretching from Senegal to Kenya, are the newest of Florida’s many exotic animals. Well-known in the US pet trade, the recently discovered population seems limited to a weedy lot near a now-defunct reptile importing business. Past reports of dead and dying skinks found on the importer’s property point towards the all-too-common source of the new arrivals. According to a recent (September, 2010) article published by the Center for North American Herpetology, the lizards were first collected in April of 2010 by University of Florida researchers. Forty-six individuals, including a number of sexually mature and very young animals, were observed. The Giant Ameiva (described by many as “Tegu-like” in form and action) has long been a pet trade staple, despite the fact that it is a high-strung lizard that requires a spacious enclosure if it is to thrive and breed. However, they feel right-at-home among Florida’s fields, gardens, lots and canal banks. Dade County has hosted a large population since 1954. A recent survey by the Florida Fish and Game Commission (please see article below) has revealed that Giant Ameivas are also being found in increasing numbers in Broward County, Palm Beach and the Corkscrew Swamp. Capable of tackling insects, other lizards, frogs, nestling birds and small mammals, Giant Ameivas likely represent a significant threat to native wildlife. Florida’s Giant Ameivas occur in 2 rather distinct forms, being either dark-colored or brightly-marked in green. 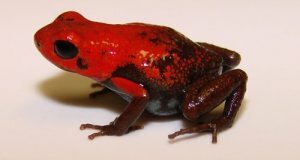 Males in the darker population may exceed 2 feet in length, while green individuals top out at 18 inches or so. 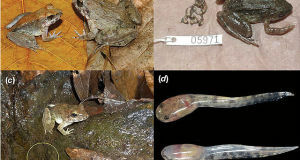 Biologists have yet to determine if different species or subspecies are present. Florida’s Newest Exotic: original discovery of the Rainbow Skink population. Video of a Rainbow Skink shedding. Very interesting, thanks. there are quite a few introduced lizards in Fla. unfortunately, it’s difficult to remove smaller species once they’ve become established,. Perhaps someone in a local herpetological society might be interested, or may know of a college professor, etc doing some related work. 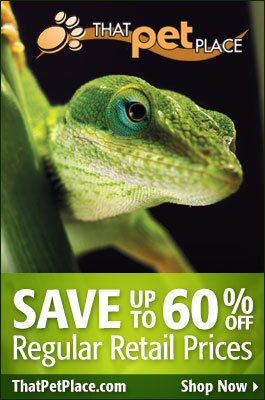 Please see this listing of Fla herp societies and rescue organizations. You can see photos of Florida’s introduced lizards here (several look similar to the species mentioned in the article, which is not very widespread at this point).